factor with a mild lift ! A letter to my nephew Gautham…. And all of my little Friends…. Your father is poor. Hey you got so angry hearing this. Please don’t let this stop you from reading further. Now myself, your uncle is much more poor. There is a good reason for telling you so. One thing that will definitely bring your anger down is a book with the title “Rich Dad Poor Dad” written by the American author Robert T Kiyosaki. I have asked your father to get a copy of the book for you with a condition that you will be paying the price of the same within a year. Don’t worry. Myself and your father will help you to earn that money. When ever I hear something from you, I remember a lot about my childhood. At your age I too was so fascinated by the block-bluster formula E=MC2. To me it sounded good because it held the link between two worlds, one of the matter and the other of the energy. It always sounded like blasting with the limitless energy. I neither comprehended the validity of the formula nor did it give any practical blast in my very life. Of course I always adore the man behind it as you do. Einstein continues to be my most favorite hero even now. It always felt that he always stand so tall among us for what we human beings take special pride in doing. Imagination…. As you, when I was in school, worked with one particular formula in and out numerous times. I=PNR…. As for you, it brought me some good marks in the exams as I had the skill in applying this with various combinations. As I left the studies the formula went into my faint remembrance. Much later I got into what we all call; the struggle of life. With all this struggles what I found, it is the state of being poor rather poorer which is the very cause of struggle. I had been so moved by it that I started to think about the other side, being rich. You see, I am in no way a rich man, but I am in the pursuit of richness. During this journey, the good old forgotten formula I=PNR took some vibrant form in my mind. Somehow I started feeling that the formula I=PNR have a capacity to blast like E=MC2 creating ripples of richness. I wondered if the little ones like you could have a nice feeling about knowledge of, how learning we receive enriches our life, how the technology we learn can be used beneficial to us, how being rich gives us a different level of freedom and so on…. I feel the Imagination of you all can be nothing less than Einstein’s! As I wished you could make your first steps in learning some of these valuable ways of life, I have asked your father to open a Savings Account in your name with the State Bank of India. You should have an amount of Rs.7840 in that account. You should use the entire pocket money for this. I have asked your father to give you the remaining amount. With this money we are now going to work with an interesting combination of I=PNR which will pay back Rs.2/- (<– Click Here) everyday to your Savings Account. 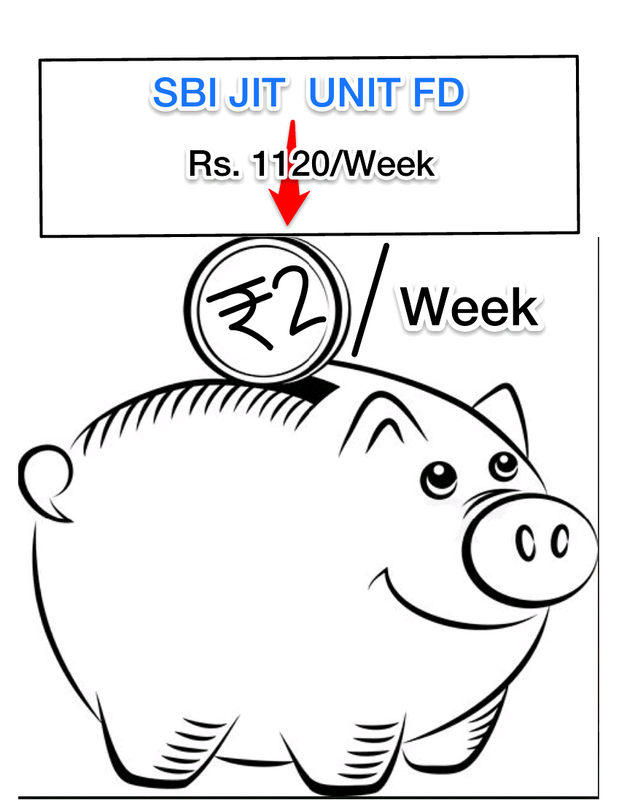 Let us create 7 SBI JIT UNIT FD (7 X Rs.1120))one each on the seven week days (Sunday, Monday,…. Ask your father what is all about the interesting factor in this combination. He being a banker will be able to explain it more clearly to you. By the end of the year your Rs.7840/- will produce Rs.730 (Rs.2 X 365), ie. working daily creating Rs.2. From this you should pay back the price of the book to your father! By this time you would have read the the book few times!! This will be your first step in the game to the next level of freedom, Financial Freedom!!! At this point you should notice a factor. You should dream as much as you can with the amount remaining from Rs.730. I recommend you to buy a good inexpensive book with YOUR money. But let a good part of that money be with the money. This is an important part of getting rich. A good part of the MONEY you earn should COMPOUND TO MONEY you have. You remember I told you I=PNR blasts with ripples of richness. All rich people around the world fundamentally use this formula to build their riches, but with their own modified versions. As you grow up and explore the way to richness you too will learn them and will come across your own versions. I will feel extremely happy if you could “Leave a reply” to me stating some of the learning you got this way like: the interesting nature of PNR, functioning of a bank account etc. You have a puzzle to solve in this activity which makes I=PNR to I>PNR, what I call the jitfactor. Your father will help to solve this. Let freedom fill inside you and outside you…. Jit,It is very enlightening..On reading this iam really enthusiastic to read this book.. I have updated the post with links: to the book @ the online store & to ‘About the author’ @ the author’s official site. Take wing…. Once I started reading this book, I wished each of my friends, FATHER-SON AS A TEAM should read this book…. This book, I felt covers many gaps which are left by the conventional education…. When taken seriously it grooms an essential skill for successful living…. 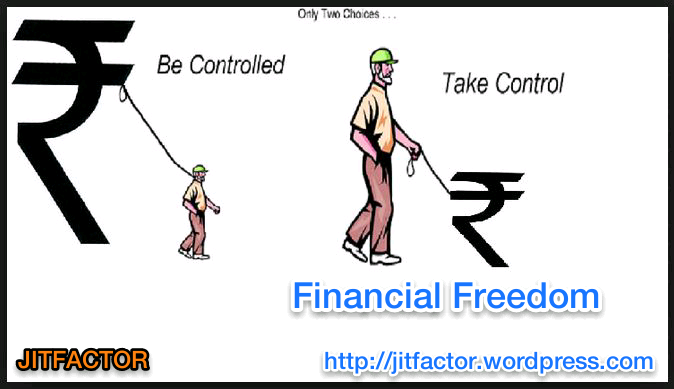 FINANCIAL INTELLIGENCE…. Share this with all of your friends…. 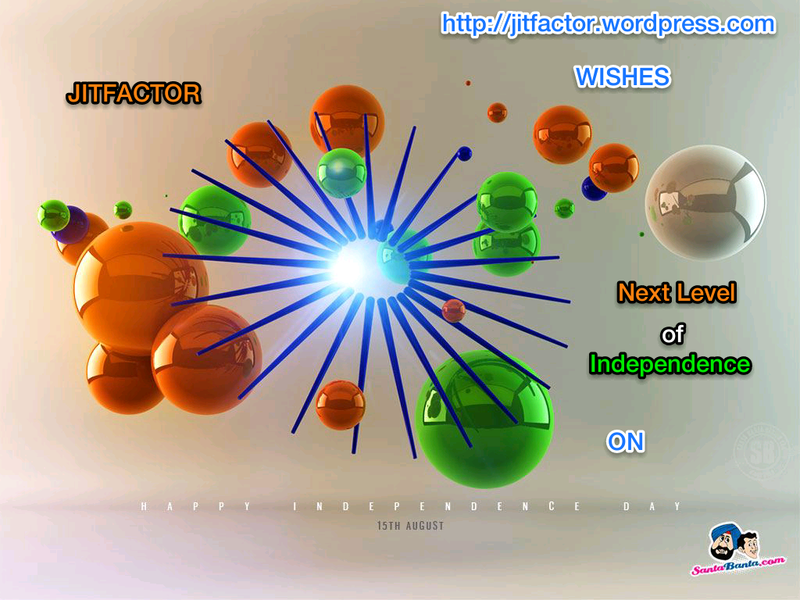 Wish for a generation with next level of freedom, the Financial Freedom….